The folks at KOVA have pulled us out of a jam many times. They are always willing to help even at the last minute on Friday! They will deliver. I would just like to take this opportunity to thank you for everything you and your company have done for the Telethon WA. 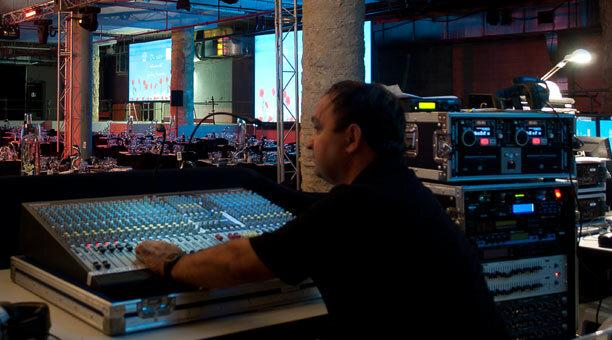 KOVA Sound is Perth based audio events production & dry hire solutions provider. We specialise in live audio event production and audio equipment hire. Our complete range of quality equipment is matched only by our quality of service. Hire equipment is available for conferences, events, concerts, presentations, weddings, awards nights or any other event you are holding. We are fully equipped to provide for all aspects of live audio production. Kova Sound will deliver and collect all equipment and provide crew for setting up/testing on site with 24hr support. Our technicians are amongst the most qualified and experienced in Western Australia. Our combined mission is to provide the highest quality event professionals for our audiences while ensuring maximum sound quality and safety. We provide for a large range of clients including event management agencies, music promoters, churches, sport clubs, city councils, schools and universities. From a corporate gala event, conference, awards night, open-air event or private function, we have the equipment and the expertise to ensure that your needs are catered for.